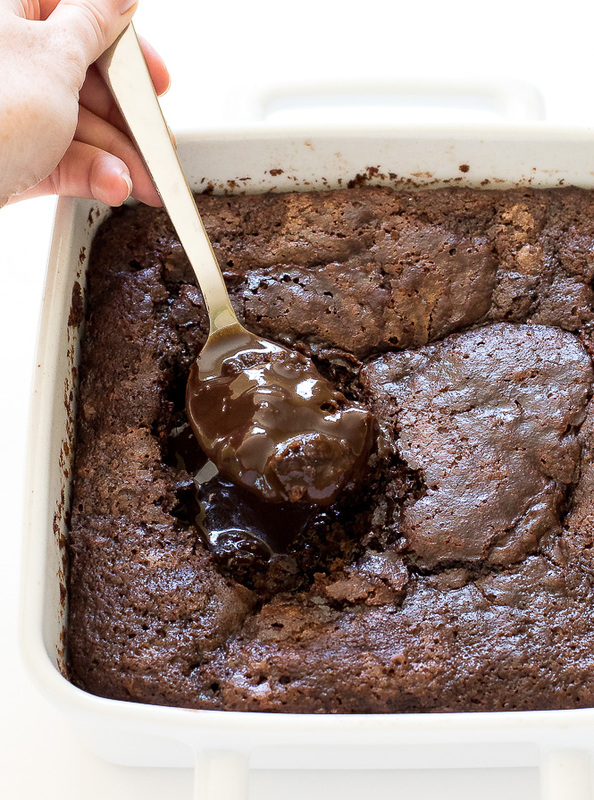 Gooey Hot Fudge Pudding Cake. A thick layer of hot fudge underneath a layer of moist chocolate cake. The perfect base for a hot fudge sundae! To me there is nothing better than hot fudge. Especially hidden underneath a layer of rich chocolate cake. 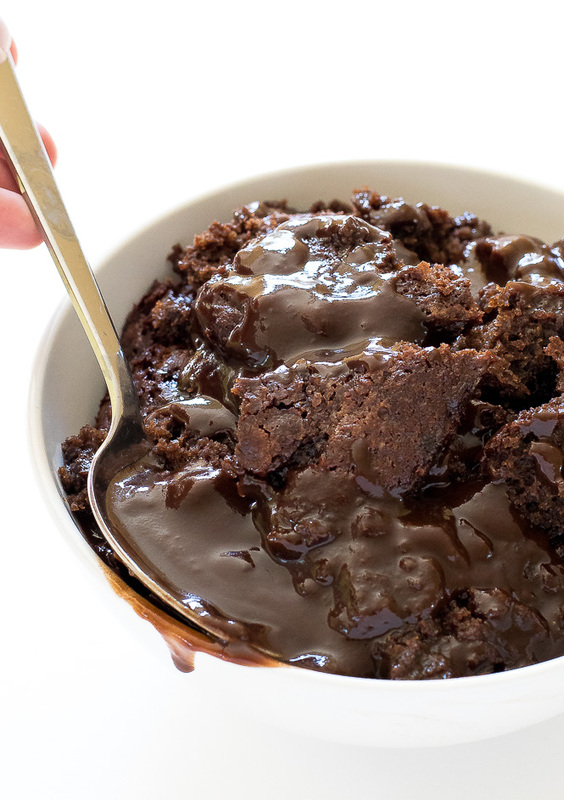 This hot fudge pudding cake is the perfect addition to ice cream and makes a pretty awesome sundae! It is so easy to make this cake. 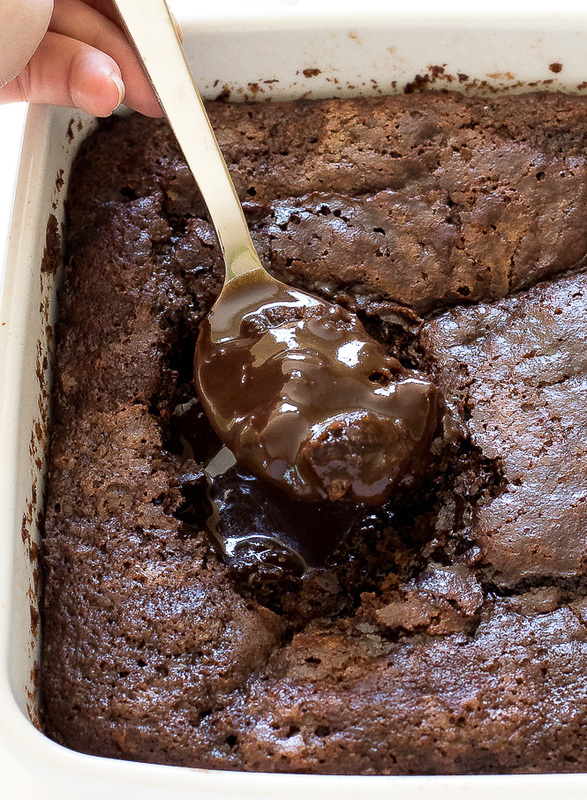 You mix up the batter portion of the cake in one bowl them mix up the hot fudge portion in another. No need for a stand mixer. The cake batter goes on the bottom and the brown sugar + cocoa powder gets sprinkled on top. Next you pour the hot water over the batter. That’s it! Make sure not to stir the hot water after it is added. Leaving it rest on the top makes the layer of thick fudge! Serve with a big scoop of ice cream and enjoy! Preheat oven to 350 degrees. Grease an 8 x 8 or 9 x 9 pan, set aside. 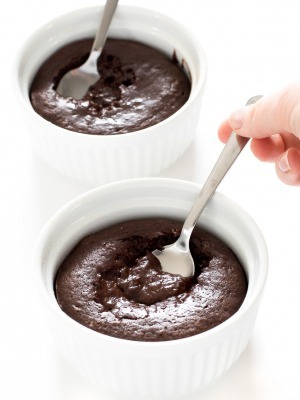 In a large bowl combine flour, brown sugar, instant coffee, cocoa powder, baking powder and salt. Stir in milk, butter and vanilla. Mix until combined, do not overmix. Pour the batter into the prepared pan and set aside. 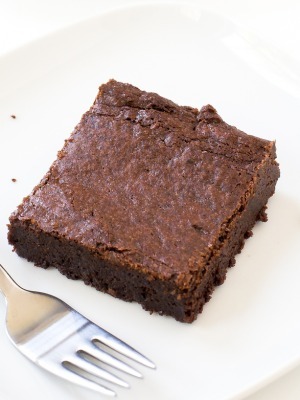 In a small bowl combine brown sugar and cocoa powder. Sprinkle evenly over the batter. Pour the hot water on top. Do not stir. Bake 35 to 40 minutes or until center is almost set. Allow the cake to cool for 10-15 minutes. Serve immediately with a big scoop of ice cream! 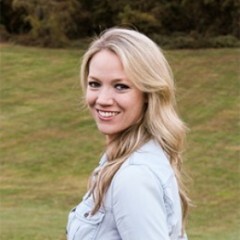 Hi, Kelley! 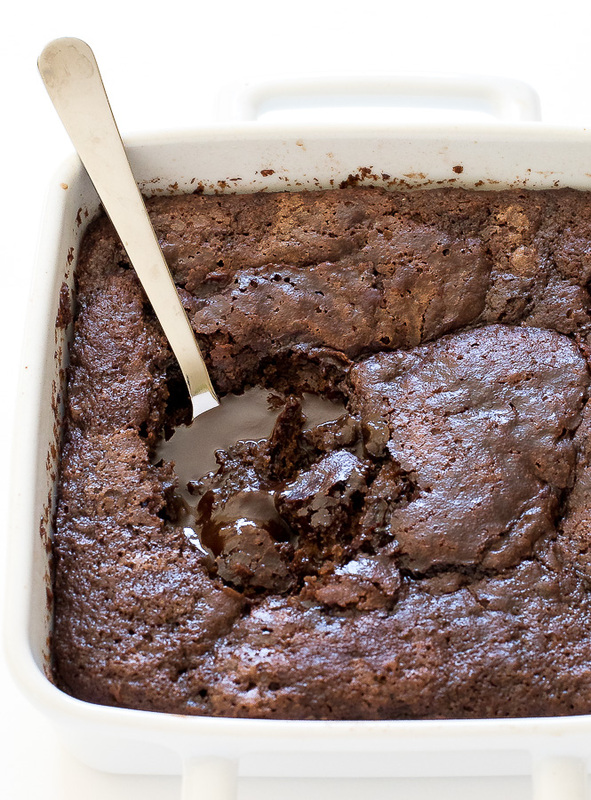 What are the measurements for the brown sugar and cocoa powder? Cup, Tbl or Tsp? Thanks! Looks amazing! I am so sorry about that! It is 1/4 cup for both the batter and the pudding. Thanks so much for pointing that out to me. The recipe says baking powder but the instructions say baking soda… which do we use? Sorry about that!! It is supposed to be baking powder. Thanks for letting me know! I updated the recipe. Hi. I really like this cake. I made it myself with your recipe. You are an amazing chef. Thank you for sharing this recipe. So glad you enjoyed this!! Thank you! I’m glad you enjoyed it! Thanks! So to convert from 9×9 to 9×12 you would just need to multiply each ingredient by 1 1/3. I was wondering if this can be made in the crock pot?